Samish Bay oysters (4) with pancetta, heirloom tomato, chives, creamed spinach, herbed bread crumbs. Golden fried calamari rings and tentacles, saffron lemon aioli. Savory herb crust, sautéed local mushrooms, leeks, roasted garlic, whipped goat cheese and basil oil. Fresh local mussels with saffron tomato broth, leeks, asparagus and fresh thyme. King crab, sherry, mini crab crackers, chives and a touch of cream. Vegetable stock, pistachio pesto, fresh local truffles, chives and light cream. Belgian endive, dried figs, port poached pears, honey roasted hazelnuts, chevre, watercress, red onions and white balsamic dressing. Baby greens, toasted walnuts, bleu cheese, red onions, gala apples, red grapes, maple cider vinaigrette. Alaskan King Crab, prawns, avocado, red onions, mango, hard-boiled egg, baby greens, feta cheese, serrano chili and peanut oil dressing. Served with herbed fingerling potatoes or herbed basmati rice. 8 ounce grilled patty, brioche bun, gruyere, pancetta, quick pickles, smoked fennel and tomato jam. Fresh Northwest oysters fried in a light panko crust; apple aioli, sautéed vegetables. Stuffed with scallops, oyster mushrooms, spinach and basil served with a lemon saffron mousseline. Dungeness & Jonah crab, mango chutney, curry aioli, sautéed vegetables. 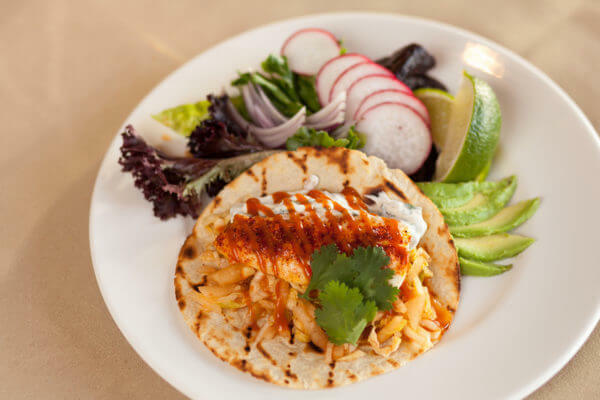 Chili spiced halibut, cabbage jicama slaw, cilantro, crème fraiche, arbol chili sauce, avocado and fresh tortillas. Microbrew beer batter, remoulade sauce, lemon. With shiitake mushrooms, leeks, pea vines, roasted shallots in a light lemon and goat cheese cream. Topped with crispy sage. Sautéed with pea vines, chermoula butter preserved lemon and a Harissa couscous. Mussels, clams, prawns, scallops and fresh fish simmered with Yukon potatoes, vegetable mirepoix, boar bacon, oyster mushrooms and Swiss chard in a light seafood broth. Garnished with pistou and fresh parmesan. Slow roasted with a green chard crust topped with local black truffle cream and fresh chives. Cedar Roasted Alsakan Salmon... A.Q. With pickled blueberries, sorrel puree, seared pioppino mushrooms, balsamic syrup and toasted pinenuts. Dill pasta, ricotta, pine nuts, arugula and a shallot citrus brown butter. *Washington State Law requires us to inform you that consuming raw or undercooked meats, poultry, seafood, shellfish or eggs may increase your risk of food borne illness. Some seafood is prepared rare to medium rare unless otherwise requested. Raw eggs are used in our aioli’s. Some seafood items are served raw and our meat items are cooked to order. chives, creamed spinach, herbed bread crumbs. Dungeness & Jonah crab, mango chutney, curry aioli. King crab, sherry, mini crab crackers, fresh chives and a touch of cream. Belgian endive, dried figs, port poached pears, honey roasted hazelnuts, chevre, watercress, red onions and a white balsamic dressing. Cedar Roasted Alaskan Salmon... A.Q. 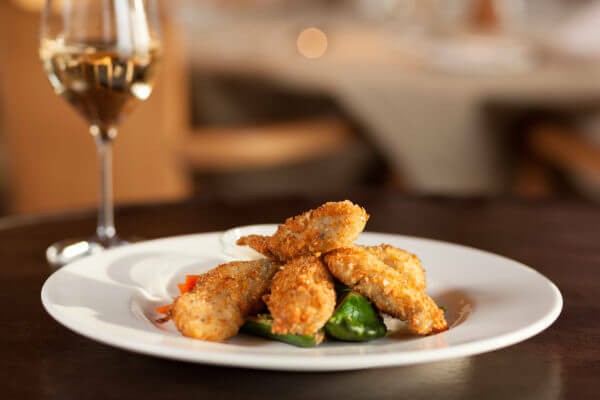 Fresh Northwest oysters fried in a light panko crust, served with green apple aioli. Mussels, clams, prawn, scallops and fresh fish simmered with Yukon potatoes, vegetable mirepoix, boar bacon, oyster mushrooms and Swiss chard in a light seafood broth. Garnished with pistou and fresh parmesan. 1 1/2 - 1 3/4 lb lobster with yuzu honey butter and gremolata. Sautéed with pea vines, chermoula butter, preserved lemon served with Harissa couscous. Slow roasted with a green chard crust , local black truffle cream and fresh chives. 8 oz. grilled Prime Top Sirloin with braised leeks, black truffle butter and cabernet reduction. 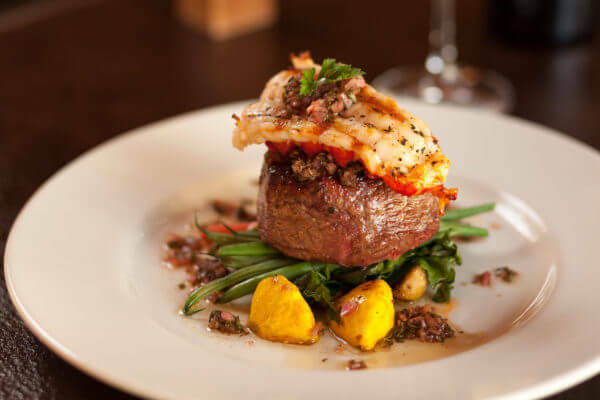 Herb grilled Prime Filet Mignon with boar bacon and smoked oyster demi glace. With shiitake mushrooms, leeks, pea vines, roasted shallots in a light lemon goat cheese cream. Topped with crispy sage. 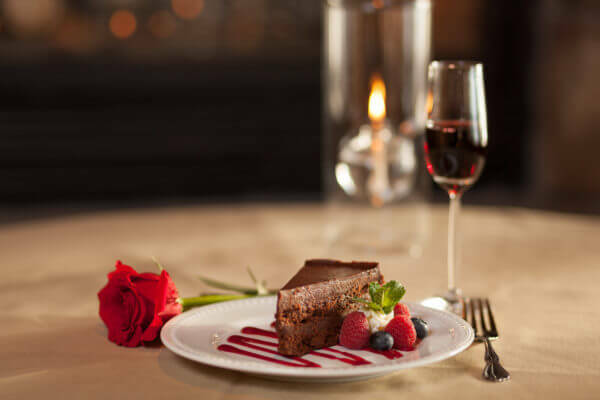 Rich, flourless dark chocolate cake, raspberry coulis, whipped cream. This signature dessert is a chocolate lover’s dream. Just when you think it can’t get any better…it can! Try it with a couple of ounces of the Oro Hazelnut dessert wine. A truly euphoric experience! Gingersnap crust, strawberry rhubarb coulis and whipped cream. Vanilla sugar crust, whipped cream, chocolate hazelnut cookie. Vanilla and macadamia nut crust, coconut vanilla crème and whipped cream. House-made fruit sorbets, vanilla-almond tuile. Light lemon cake with lemon curd, sour cream and cream cheese icing, fresh berries. We typically offer 6-10 different varieties rotating on a weekly basis. Please call for our current menu. Raw Oysters are on the half shell and served with a pink grapefruit and spruce tip mignonette. Deep cup, firm meats, med. briny, mildly sweet. Deep cup, mildly briny, fresh clean flavor. Firm with lettuce-like flavor, clean aftertaste. Small, dense, light clean taste of cucumber & salt. Crisp, sweet, plump meat with a melon finish. Plump, buttery meat, sweet flavor, brightly briny. Plump, tender meat, low brininess, sweet, musky finish. Firm meat, briny with a sweet flavor, melon finish. Full flavored muskiness, low brine, vegetable finish. Mild, clean flavor and a light brininess. Sweet, plump meat with a light brininess. Firm, plump meat with a light mineral flavor. Plump, meaty, flavorful with melon rind finish. Plump meat, sweet and briny. Firm, full, sweet and salty meat. Plump with medium brininess, sweet flavor. Medium brininess with a crisp, strong finish. Plump & tender; sweet flavor, light brine. Full meats with medium brine, melon finish. Firm, briny, light and clean flavor with a sweet finish. Firm with a crisp, briny flavor & a fresh aftertaste. Deep cupped with firm meat, cucumber finish. Mild, fresh, briny yet sweet in flavor. Pure, crisp, sea salt flavor with a clean finish. Petite meats, mildly briny, sweet, honeydew finish. Firm texture, sweet, briny with a mineral finish. Plump w/ sweet flavor, high brininess, mineral finish. Delicate meat, lightly salty, sweet cucumber. Clean and firm with a mild, briny almost fruity taste. Plump and buttery, not salty. Deep Bay, Strait of Georgia, B.C. Delicate meat with mild brininess and sweet flavor. Firm meat, briny with a sweet flavor; melon finish. White meat, highly briny with hint of anise. Firm meat, mild brine, cucumber finish. Smooth and briny with a sweet melon finish. Firm meat, mild brine, watermelon finish. Smooth textured meat, mild brine, kiwi-like finish. Plump, creamy white meat, mild, sweet, a bit briny. Creamy meat, med. brine, sweet flavor. Deep cup, meaty, very clean, delicate flavor. Petite, briny flavor with a sweet finish. High brininess with a smooth, clean finish. Salty start and sweet finish. Full, plump meat, buttery, sweet flavor. Buttery, tender meats, mild brine, sweet flavor. Our seasonally based menu changes weekly. Please contact us if for the current raw oyster menu. *Washington State Law requires us to inform you that consuming Raw Shellfish may increase your risk of foodborne illness. House smoked Alaskan king salmon, marinated beets, chevre, basil and ginger oil. Oven roasted, topped with a smoked tomato chardonnay butter and sautéed lion's mane mushrooms. This lovely local fish calls for a special local wine. We have the pleasure of offering you several selections from Buty, located in Walla Walla. 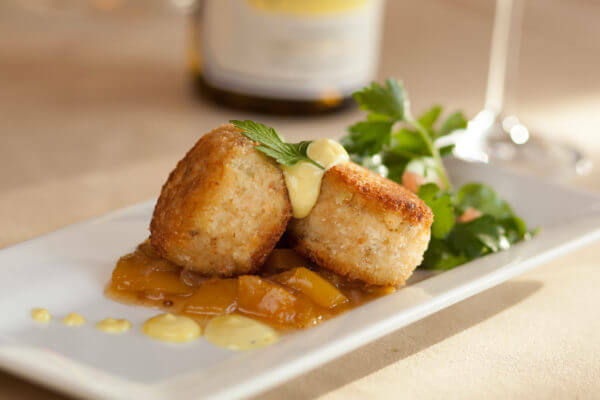 Their Semillon and Sauvignon Blanc blend has the perfect balance of subtlety and acidity needed to cut through the cream sauce and accentuate the flavor of the fish. Herb grilled, finished with a dried cherry port reduction. Warm up by our fireplace. Call ahead to reserve your seat at the table! Diversity, quality, and quantity describe this region in southwest France. Bordeaux is one of the most prolific wine regions.